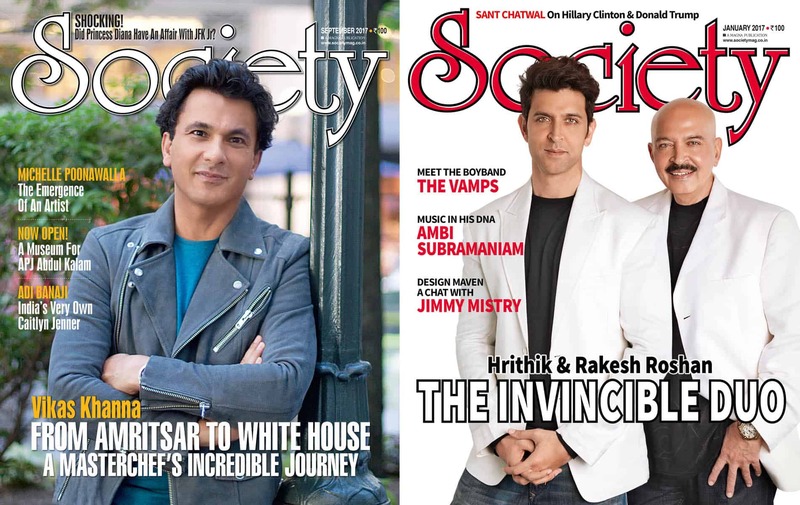 Society magazine prides itself as India’s leading people and lifestyle magazine and has been in print for four decades. Its long standing editor Suchitra Iyer talks to Hamant Verma about the challenges involved in publishing such a prized title and how the magazine had to move with the times when foreign magazines entered the Indian market. You have been editor of Society magazine for seven years – how has the job changed in that time? Though at heart a magazine remains the same, with good content as its core, change is inevitable. Reinventing and rejuvenating are the key factors to survive for any medium and that has been true for us too. Society has been in a niche of its own for almost half a decade now. As far as I know, it is perhaps the only true general interest national magazine in India. We make sure there is something to read for everyone across gender, age group, profession and socio-economic demography with a good dose of celebrity coverage. So, issue after issue, we try to cover a cornucopia of subjects, including staples such as art, sport, fashion, politics and the latest trends in society. The idea is to reach out to each one of our loyal readers and give them something to relate to. However, over the period of time – it started with the entry of foreign magazines into India – we had to turn our focus on presentation. Considering the high production values they followed, we had to catch up – and we did! It started with the size of the magazine and percolated to the layouts. They became more attractive and more vibrant, and we also began focusing on the quality of photographs and shoots. Besides, in the social media driven world, this was a good way to catch the attention of the younger crowd too. The result was for everyone to see! All this while keeping the ‘content is king’ rule sacrosanct. Today, one can safely say that Society is at par with any international magazine in its genre. The line between professional and personal relationship can be really fine and has to be tread carefully. Though, over years of interacting with celebrities, one does forge a bond with a few of them, it is always fragile until the time you are occupying the editor’s chair. It is a precarious balance but one gets used to maintaining it, I guess. As for the PR- celeb nexus, this is more rampant with the film industry celebs and is turning out to be a necessary evil. Gone are the days when actors and journalists used to be good friends and shared a rapport. It might still be true with the older actors and some directors. But, to get to the young stars and some superstars, their publicists are the only way. Now journalists cultivate friendships with the PR agents who decide the agenda; when, about what and how much the star will speak. It can be irksome, but with the busy schedules these stars have, they probably need people to do the thinking. I doubt we will be getting out of this malaise any time soon. Does a particular cover story stick in your mind and why? It is difficult to pick and choose my favourite cover story. Great effort goes into deciding one every month, and then of course working on it. I am proud of each of Society’s covers. Here again, we try as much variety as possible and keep it as topical as possible too. From Bollywood to politics to glamour and media to other professions, each of our cover story is about an achiever. People like Narendra Modi, Amitabh Bachchan, Baba Ramdev, Irrfan Khan, Akhilesh and Dimple Yadav, Karan Johar, Shivraj Singh Chouhan and Asha Bhosle have graced our covers over the years and each one has been super successful. I would advise youngsters to focus on the core principles of journalism and that itself will take care of everything and clear all their misgivings about rights vs wrong and how to take the right decision. How wide is the division between advertising and editorial at Society and in Indian publishing generally? What advice can you give to young editors or wannabe editors on keeping a healthy distance with the advertising department or advertisers? If you look at the publishing industry in general, the division is gradually closing in. However, in our company, Magna Publishing, which brings out a wide range of national magazines, there is a clear demarcation between both the functions. Fortunately for us, our Chairman Mr Nari Hira is an editorial person at heart and does not believe in compromising with the content of any of his magazines. To that extent, we are far removed from the influence of our advertising team. And since they know the value system our company has been following over the years, they work within the parameters too. I would advise youngsters to focus on the core principles of journalism and that itself will take care of everything and clear all their misgivings about rights vs wrong and how to take the right decision. It is crucial to have a strong foundation based on solid ethical practices before they venture into the cut throat world. …if a woman is qualified, ambitious and is raring to go, there is nothing that can stop her from emerging at the top in India. Is India a good place for a woman to progress her career in media and in business generally? Absolutely! In our company itself, all the editors are strong, independent women. I think India is rather conducive to working women, and the fact that so many sectors are being headed by women today vindicates it. Apart from media houses, which has more number of female staff or at least an equal number, other areas such as banks are being dominated and even led by women. Not to mention, the innumerable start-ups which some brilliant women entrepreneurs are leading. So yes, if a woman is qualified, ambitious and is raring to go, there is nothing that can stop her from emerging at the top in India. What would make you take a chance on a British Asian journalist for Society Magazine? Journalists are a universal tribe, following the same work ethics whatever their place of origin. As long as she/he can adjust to the dynamics of our country, particularly Mumbai, they are most welcome!